BT today announced a new phase of investments into the rapidly growing economies of Asia Pacific, Turkey, the Middle East and Africa (AMEA) with the objective of accelerating its expansion in high growth markets. By hiring more people in the region, launching more competitive capabilities across a larger number of countries and delivering a differentiated service experience, BT will be in a strong position to capture opportunities in a total AMEA market evaluated at around 32 billion GBP. This new phase of investments builds on the success of earlier programmes announced in 2010 for the Asia Pacific region and in 2012 for Turkey, the Middle East and Africa. Earlier this year, BT brought those regions together into a single integrated market unit to better address the needs of a new generation of regional multinationals and big domestic players that are increasingly expanding from China and India into the Middle East and Africa. The combined geography is expected to generate 44% of the global GDP growth by 2025, with 3 billion people expected to enter the middle class over the next decade. · 400+ new people focused on regional business growth across all key markets, including Australia, China, Hong Kong, India, Japan, Indonesia, Malaysia, Singapore, South Africa, the United Arab Emirates (UAE) and Turkey. 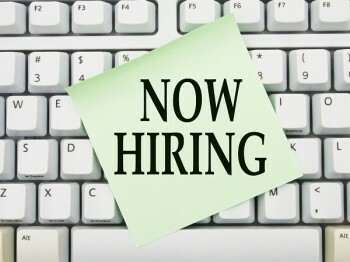 · New hires will include industry specialists focused on sectors such as logistics, healthcare, consumer packaged goods and financial services, and professional services experts based in 11 countries. 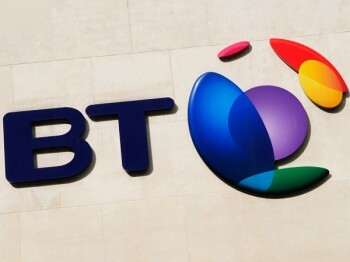 · These hires will be additional to the 600 positions announced earlier this year for BT’s Global Development Centre in Bangalore and to the c.600 hires expected for BT’s new Global Shared Service facility in Kuala Lumpur announced in April. · Securing new value added services licenses in various countries, enabling an extended portfolio offering. · Better infrastructure through five new IP and Ethernet Points of Presence starting with India and Turkey, four Network-to-Network Interfaces (NNIs) with the first in Indonesia, and an enhanced satellite capability to support remote coverage and disaster recovery. · Stronger portfolio capabilities in the fields of security, cloud, unified communications, mobility and contact centres. · Field services delivered directly by BT engineers in India, Singapore, Hong Kong, China, Japan, Turkey, Indonesia and South Africa. · A new strategic service assurance centre in Malaysia, providing 24×7 incident management capabilities for complex contracts. Luis Alvarez, chief executive officer, BT Global Services said, “In 2010 we launched our first phase of investments to accelerate our expansion in Asia Pacific. This has allowed us to generate strong growth in the region and to nearly triple the number of new Asia Pacific customers signing with us. We are investing again to further grow our business, in a wider region combining Asia Pacific with Turkey, the Middle East and Africa. South Africans are set to experience the next evolution in mobile connectivity, as Internet Solutions and AlwaysOn launched the first of many carrier-grade Wi-Fi solutions at Cradlestone Mall this month. With plans to roll-out nationwide to other key high-density retail environments within the next 12 months, as well as transport hubs like airports, carrier-grade Wi-Fi is set to revolutionise the mobile computing experience for end-users. 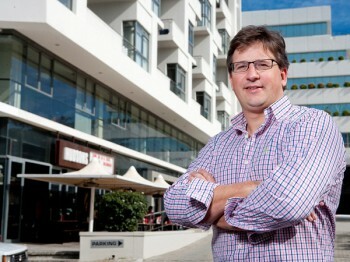 According to Hayden Lamberti, business unit manager: Enterprise Mobility at Internet Solutions, carrier-grade Wi-Fi has the capacity to cope with the large data volumes commonly associated with high-density public locations like malls and transport hubs, while still enabling the consumption of rich media content like video, video chat, VoIP, content sharing, social media and augmented reality. “Users of carrier-grade Wi-Fi will be able to access rich media content, or data intensive enterprise applications while on the go, in a way that wasn’t previously possible on standard public Wi-Fi. For retail environments like Cradlestone Mall, this has the potential to open up a world of immersive, interactive shopping experiences for customers, and it will also allow them to share their experiences online in the most efficient and cost effective manner. Business users, on the other hand, will benefit from a high speed, reliable connection back into the company network to conduct faster, more efficient business while on the move,” he continues. Carrier-grade Wi-Fi networks provide a host of direct, targeted marketing opportunities for shop owners, companies and big brands within these environments. “This is a new sponsorship and advertising opportunity, and a rich content distribution channel for marketers. As such we expect carrier-grade Wi-Fi to become fully sponsored and therefore free to the end-users,” says Lamberti. The solution also has the potential to change the retail environment, as different technologies can be incorporated to engage consumers, says to Lamberti. “Promo screens can be operated on the fly and updated with real-time information when they are connected to the Internet. This has the potential to create a more interactive public environment for shoppers. With the experience Internet Solutions has gained through the provisioning and management of South Africa’s largest public Wi-Fi network in the form of AlwaysOn Hotspots, the unique combination of the company’s specialised carrier and connectivity business units, and the Wireless LAN expertise of parent company Dimension Data, Lamberti believes that the company is ideally placed to enter and pioneer the carrier-grade Wi-Fi market. “This combination of experience and expertise means we’re able to provide the end-to-end infrastructure required to deliver carrier-grade Wi-Fi. From reticulating the location with fibre internally, and supplying fibre infrastructure to the curb, to the provisioning and management of the internal network environment, as well as the content distribution network, there are few players in the industry who are able to operate in the carrier grade Wi-Fi space on this level,” he explains. “We have therefore adopted an aggressive expansion strategy for this solution, and already have a pipeline of additional retail sites that we will be launching very soon. 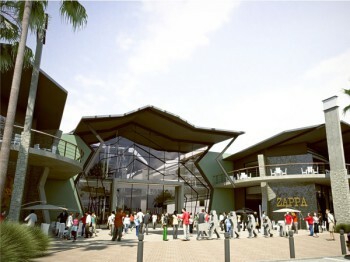 We therefore expect that all feasible retail and transport hub locations will be equipped with this solution within the next nine to 12 months,” concludes Lamberti. 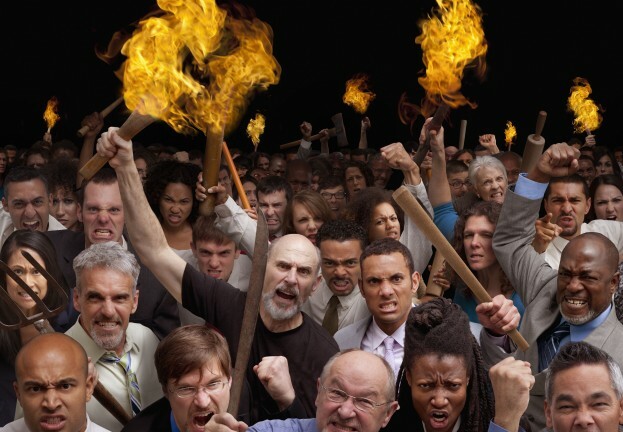 YouTube comments channels are widely known as a toxic and hostile environment – but Google had admitted that YouTube’s recent integration with Google Plus has made things even worse. YouTube’s comment channel was integrated with Google accounts, and in particular with public Google Plus profiles, in an attempt, according to The Register’s report, to de-anonymize users and promote civil conversations. The search giant pointed out that the new system had led to an increase in extremely long comments, spam and ‘ASCII art’, where users draw pictures using keyboard characters. Such artworks are often obscene, as The Register points out. “The integration of YouTube comments with Google Plus has led to a new wave of obscene comment spam and more junk, Google has admitted.What’s happened in the weeks since the change is that the flame wars in YouTube comments have continued while spam has arguably gotten worse,” the site’s report said. Popular and prolific channels such as gamer Pew Pew Die Die’s turned off comments altogether, as reported by Graham Cluley, “Turning comments off until they are working properly,” Pew Pew Die Die wrote. While 2013 has not been as jam-packed as years gone by, a number of truly excellent gaming titles foound their way to store shelves. With the release of new gaming consoles from Sony and Microsoft, a new era of console gaming has emerged – one bound to make next year’s release cycle one of the most interesting. To wrap up this year’s release calendar, IT News Africa examines the best console games for 2013. There has been many post-apocalyptic video games this year, and it almost seems as if the genre has been revitalised with new gusto – which is a good thing, as Naughty Dog’s title taught us that there is actually only one contender for the post-apocalyptic crown. The Last of Us is a carefully-crafted and beautifully curated masterpiece that encompasses pretty much everything that an excellent game should: stunningly beautiful graphics, a plot that would make for an excellent film, enemies that will scare and frighten the pants off anyone, and character development that is worthy of an Oscar. Irrational Games has been at the helm of many releases over the last few years, but one of their more successful franchises is BioShock. Starting out in 2007, they crafted a world ruled by Big Daddies and Little Sisters, tucked firmly under the ocean in the city of Rapture. The company returned this year to deliver the visually-breathtaking first-person shooter BioShock Infinite, an incredible prequel to the previous games in the franchise. The visuals are absolutely stunning, the combat is fast-paced and often very chaotic and the plot is one of the best gamers have seen in a very long time. The character development, and even the personal connection between DeWitt and Elizabeth is beautifully explored, and draws the player further into the narrative. 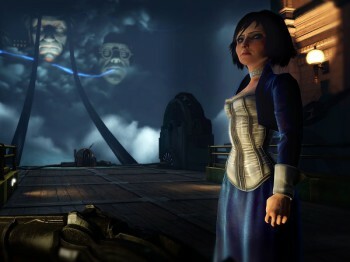 Gamers who are fans of the BioShock franchise will absolutely love Infinite. 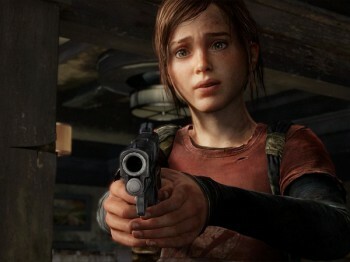 When the reboot of the much-loved Tomb Raider was announced, fans were divided in their opinion on whether it was necessary to redo the franchise or just continue with the current series. Developer Crystal Dynamics eventually opted to reboot British explorer Lara Croft – and they did a fantastic job in doing so. In this updated version of Tomb Raider, Lara Croft is seen as more headstrong than previous titles. While she is only 21-years-old in the game, she has the ability to make tough decisions that drive the plot forward. However, players will also see a slight transformation in Lara as she evolves through the game from a soft-natured person to one who would have no problems putting a bullet in an enemy’s head. This version of Tomb Raider is every inch a true Tomb Raider game, and while there is less raiding of actual tombs (instead of being compulsory, they are now optional) it squarely belongs in the franchise. Grand Theft Auto V was released five years after Grand Theft Auto IV, and the title has sold so well that it recently became the fastest-selling video game in history by racking up over $1-billion in sales in the first few days. The open world action-adventure has once again proven why it is the best sandbox game franchise on the market and includes a number of elements not yet seen in a GTA title. 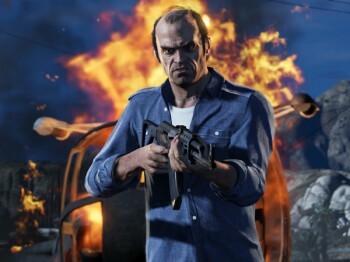 For starters, players will take control of three main characters, all with their own unique backgrounds and stories that will mesh into one big plot as they cause chaos in the fictional city of Los Santos in San Andreas. GTA V is without a doubt the best GTA title that has been developed in the history of the franchise. The characters walk properly compared to GTA IV, the vehicles are of much wider variety and handle better, and the citizens of San Andreas will have no problem with ‘flipping you the bird’. The Assassin’s Creed franchise needs no introduction – it has been one of the most successful gaming enterprises in the last couple of years. The Series has taken gamers on a whirl-wind journey through different time periods in history in search of answers and the elusive Templars. It might seem a bit harsh, but Assassin’s Creed IV Black Flag is your typical Assassin’s Creed title, with no real innovation or changes – except for the open-sea missions with the Jackdaw (which is by far the highlight of the title). But that is what players like about the title – they know exactly what they are going to get, even if it is only a change in scenery and plot. Black Flag is incredibly enjoyable to dig into, despite a few awkward level designs and cheesy Abstergo Entertainment missions incorporating the Animus. The star of the title is definitely the open-sea battles and the new pirate theme – everybody loves pirates! 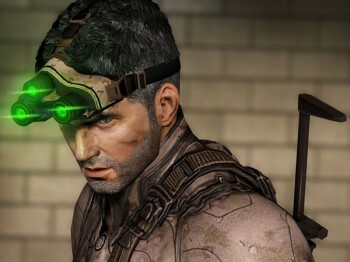 The sixth instalment of Tom Clancy’s Splinter Cell series had stealth enthusiasts eagerly awaiting its arrival, as it promised to deliver a completely new playing experience – and Splinter Cell: Blacklist has not disappointed. Blacklist is a highly addictive title, and while the single player campaign can be very tough in certain parts, players will find themselves pushing on until they complete the next step to drive the story along. Lovers of the franchise will most certainly not be disappointed with Blacklist, as it provides for many action-packed hours, as well as an extensive multiplayer aspect. Newcomers can also benefit from picking it up first, as it is really a testament as to just how far the franchise has progressed. Developer Quantic Dream rose to prominence with its near-perfect interpretation of the interactive film Heavy Rain. 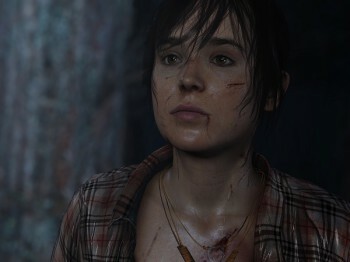 Director David Cage recreated a modern version of story-telling, again this year ventured into the interactive film-game genre, and this time Beyond: Two Souls has players experience the world through the eyes of Jodie, a girl who has an entity tethered to her soul. Two Souls is an entertaining title, but players should not look at it as an interactive film, but rather as a highly-detailed and immersive video game – which is exactly what it is. In terms of controls, it handles perfectly and the game does provide a tutorial through some interesting missions. Beyond does start out rather slowly, slower than Heavy Rain at least, but it does pick up the pace somewhat once the plot unfolds and Jodie realises that things are heading downhill. Fans of Heavy Rain will no doubt enjoy Beyond: Two Souls. Rayman is the loveable character with no arms (only hands) that players got to love even more through the Raving Rabbids franchise of casual games. Well, Rayman came back for another edition and this time things have gone a bit pear-shaped. Legends made for an entertaining experience, packed with a lot of action and hilarious moments. A number of elements could have been tweaked a bit, but the overall gameplay is enjoyable. In terms of graphics, the UbiArt Framework engine provides the title with beautifully rendered visuals, while the controls are pretty simple to grasp. 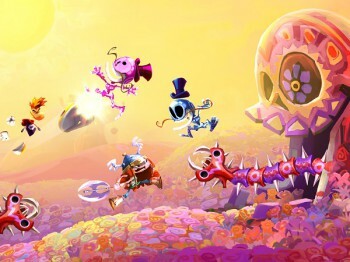 Other than some miscalculations in the jumping mechanic, Rayman Legends is a solid, fun offering from Ubisoft which should provide players with many hours of fun. What would one get if games like Grand Theft Auto and Dead Rising were meshed into one title? Well, the result would most likely closely resemble State of Decay, a game that catapults the player into a third-person, free-roaming, apocalyptic, zombie-infested surrounding. 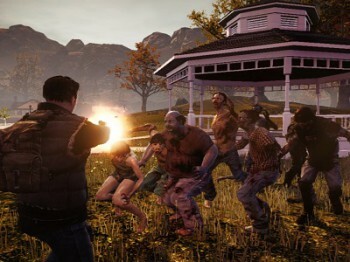 In the Xbox Live game, Players are free to roam as they see fit, visit any building or steal any car – while punching as many zombies in the head as they wish. As a first title for Undead Labs, they should be applauded for their efforts and it just goes to show that they have what it takes to make a successful title. State of Decay has actually been so successful, that it has sold more than 550 000 copies since release. With great graphics, easy controls, tons of fun and a highly-interactive free roam elements, players will experience hours of enjoyment exploring the incredibly vast map. 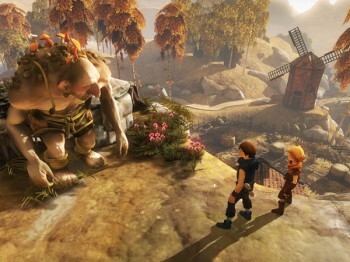 Another Xbox Live title, Brothers: A Tale of Two Sons tells the tale of two sons who embark on a journey to save a life, but things do not always go according to plans. Brothers is a heart-warming and somewhat sad title, and while the plot is not very complex and the title is not very long (about 2 – 3 hours of playtime), it is very entertaining. The graphics are fantastic and some cool elements have been worked into the gameplay, so it should keep gamers busy for a number of hours. When all is said and done, and players have figured out a way to focus on two things at once, it is actually a charming tale of hope, desperation and the prospect of a better life. This week marks the launch of Africa’s first dedicated Mobile Virtual Network Enabler (MVNE), a platform created following the completion of commercial terms between Cell C, Comverse and Mirage Telecom. 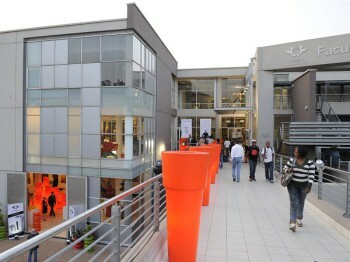 The platform is expected to be launched commercially in February or March next year. “Through our partnerships with Comverse and Cell C, Mirage Telecom is essentially enabling large organisations to offer branded mobile voice and data services to their clients as MVNOs. The opportunities for getting closer to the customer and retaining contactability are enormous and we’re confident the launch of Mirage Telecom will in turn enable the introduction of numerous innovative MVNOs bringing greater choice and value to South African consumers,” he added. .
“Comverse ONE advanced MVNE capabilities span CRM, self service, order management, rating, charging, revenue settlements and billing to support wholesale retailers and MVNO/MVNE models. Specific capabilities include data segmentation to drive branding and MVNO-specific campaigns, flexible billing models such as direct billing or billing on behalf, and configurable retailer/ MVNO/ MVNE specific end-to-end business processes,” said Denis Bernaert, Senior Vice President & Managing Director of EMEA at Comverse. 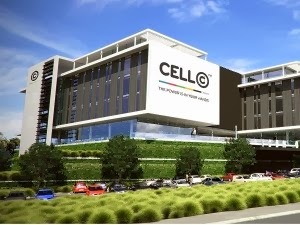 “Fully integrated within the Cell C network, this platform is poised to power exponential growth in the South African MVNO sector, helping to open doors to a rich variety of business opportunities and partners for differentiation, cash flow and growth. In a media update hosted in Johannesburg today, Dos Santos described the Platform as a differentiator for partners and said the Company would continue on its aggressive course to develop and enhance its network quality going into 2014. He also confirmed that the Company would remain focused on South Africa and there are no immediate plans to engage other regions on the continent. 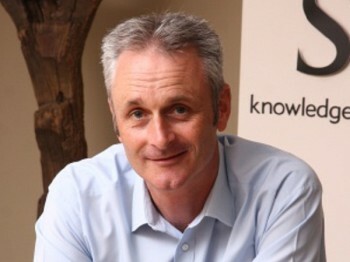 In reply to questions about Cell C’s leadership, following CEO Alan Knott-Craig’s recent ill health, Dos Santos said the Company expects Knott-Craig to make a full recovery and that it is “business as usual”. “We have a solid team and strategy in place,” he commented. A survey of top businesses in the UK found that 86% of the largest firms traded on the London stock exchange do not even consider cyber risks when making decisions. 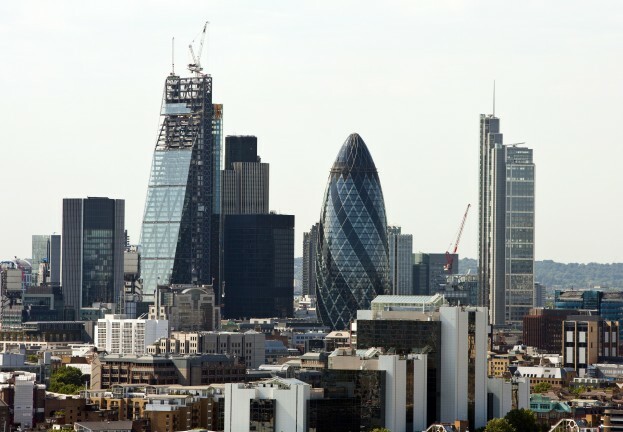 The survey found that just 14% of FTSE 350 firms even took cyber risks into account at board level, according to a survey from the Department for Business, Innovation & Skills. Only a quarter of those surveyed see cybersecurity as a top priority. The news follows a warning from professional services firm KPMG that large British businesses regularly risk sensitive information such as email addresses by sharing documents online, according to PC Pro. Despite this, 62% of companies think their board members are taking the cyber risk very seriously. Many board members receive no intelligence at all about cybercrime, the report said. Information Age reported that the same government department had published a report in April, showing that 93% of large firms had fallen victim to a breach in the past year. Several of these breaches cost the companies millions, Information Age reported. The UK government is now attempting to establish a standard for cyber security – backed by the country’s new National Cyber Security Program. Other departments have been even more vocal on the issue. Earlier this year, the head of British intelligence agency GCHQ (Government Communications Headquarters) said that mainstream media reports offered a mere “snapshot” of cybercrime, as reported by We Live Security here. “Cyberspace is contested every day, every hour, every minute, every second,” said Sir Iain Lobban, Director of GCHQ. Sir Iain said that although cyber attacks are now reported frequently in the media, the reports still fail to capture the scope of cybercrime. “GCHQ’s cutting-edge technology adds a unique perspective on the issue, illuminating the threats in cyberspace. And I have to say that the incidents I see described in the media are just a snapshot of what is going on,” he wrote. The European Parliament has switched off its public Wi-Fi system after an anonymous hacker broke into the personal emails of several Members of the European Parliament (MEPs) from outside the building, using only a laptop. French news outlet Mediapart quotes the anonymous hacker as saying, “It was child’s play,” and that his attack required only “a few bits of knowledge that everyone is capable of finding on the internet.” The attacker was also able to access email accounts owned by IT staff. A spokesperson said that the Parliament was “concerned” by the vulnerability, according to a report by Euractiv, and quoted the hacker as saying his goal was simply to raise awareness of the vulnerability. He was able to access the data from a public place in Strasbourg, near the Parliament building, Euractiv reports. The Register reports that staff at the Parliament suspect that the attack used a fake Wi-Fi network built to mimic the real public network. “We understand that IT staff in the EU Parliament are working on the theory that the hacker set up a rogue Wi-Fi network that mimicked the EU Parliament’s real system,” John Leyden wrote. 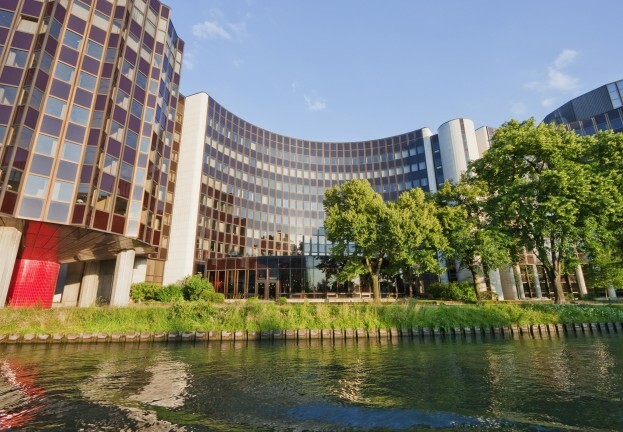 Marjory Van den Broeke, the Parliament’s IT spokesperson said, “It’s a technical issue, depending on the outcome of the investigation, we’ll see if and what measures should be taken,” she told Euractiv. Van den Broeke said that convincing users to access fraudulent Wi-Fi networks “is seen everywhere in the world”. A statement quoted by The Register said, “The Parliament has been subject for a man-in-the-middle attack, where a hacker has captured the communication between private smartphones and the public Wi-Fi of the Parliament (EP-EXT Network). A detailed We Live Security guide to using smartphones in the workplace safely can be found here – including tips on using Wi-Fi safely. 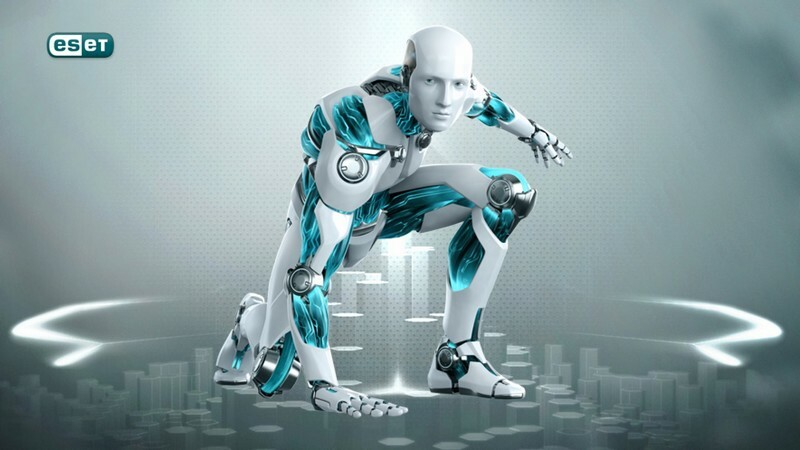 It is that time of year again, when the technology seers and trendspotters start pontificating on what they believe will be the transformative or shape-shifting technologies for the year ahead. Bluegrass Digital strives to keep a finger on the proverbial pulse, and with a dynamic and forward-thinking client base, we have some thoughts of our own on what we believe will drive the digital scene in the African market in 2014. Nick Durrant, Bluegrass Digital Managing Director. One of the fundamental elements to most of the emerging technology trends is the increasing dependence on (and popularity of) mobile devices. As smartphones, tablets and notebooks become cheaper and more prevalent, coupled with the declining cost of data, more and more people are using their mobile devices to go online and shop, make payments, use social media, and stay atop of their work commitments. In South Africa, where there is over 120% mobile penetration and more active SIM cards than there are people – mobile is becoming a focal point for retailers, marketers, advertisers and indeed most businesses who are looking to capture eyeballs (i.e. market share). Depending on your business or service, the emphasis on mobile will mean different things. For example, if you’re a marketer, you will need to look into mobile banner ads and Location Based Services (LBS). If you’re a restaurant or retailer, you may want to look into geo-tagging and creating a compelling mobi site. The first step, however, is to recognise the fundamental importance of mobile in being able to effectively reach and communicate with the South African consumer. Although e-commerce has been around for many years now, the take-up in South Africa has been fairly slow compared to the US and European markets. This is largely due to the high cost of bandwidth and relatively few retailers presenting a strong online offering. However, we believe that the local e-commerce industry is kicking into a higher gear now, with major retailers such as Woolworths ramping up their digital presence and pressuring others to follow suit. In addition, as bandwidth becomes more affordable and South Africans become more comfortable transacting both on PCs and on increasingly sophisticated mobile devices, many believe that local e-commerce is set to boom. Indeed, former FNB CEO Michael Jordaan, renowned for driving innovation on the digital front, has commented that in the near future, e-commerce “…will just become the normal way of doing business”. And the numbers certainly support this sentiment, with one study pointing to a 12.95% a year growth in local e-commerce transactions, and local consultancy World Wide Worx finding that in 2013, South Africans were on course to spend as much as R4.2 billion online (excluding air tickets). According to Luke McKend, country director for Google South Africa, SA is forecasted to have 29.8 million Internet users by 2016, with a whopping 25% increase in online spend anticipated for 2013. On the global front, Goldman Sachs has predicted that e-commerce sales would reach $963billion by 2013 and grow at 19.4%. So this is certainly a space to watch closely, and retailers would be well advised to ensure that they have a clear-cut digital strategy in place. Unsurprisingly, social media is set to gain an even stronger foothold in the digital realm, but we believe that 2014 will be the year in which local businesses of all sizes and sectors will fully embrace the medium as both a business strategy and communications tool. And given the numbers, this is a clear ‘no brainer’ for corporates, who have a fast growing and captive audience at their fingertips. According to World Wide Worx’s recent social media study, Twitter has grown by 129% in the year to August 2013 – from 2.4 million to 5.5 million users in SA (South Africans post 54 million tweets a month, with 85% of these originating from mobile devices). There are now 9.4 million South Africans on Facebook, 2.7 million registered on LinkedIn, and 466 828 active Google+ users. While each of these networks are important for enterprises for various reasons, we believe that Google+ is set to become a major player in the Business to Business marketing space, providing tools and platforms that arguably make it more relevant and beneficial for the enterprise environment. Indeed, 2014 might well be the year in which Google+ emerges as a critical business tool, so we encourage local enterprises to become comfortable with this platform and build a strong presence in the network. While staying abreast of a rapidly evolving digital environment (with fast developing tools and technologies) may seem daunting, it is certainly worth the time and investment for businesses to ensure that they remain ahead of the curve. Global security software vendor Trend Micro has released a threat report that examines the global state of the Internet nation. In 2013 the cybercrime industry, chased by an increasingly dynamic and vigilant security industry, has shifted its modes of operation, targeting new users and platforms as well as focusing on hacktivism and online exploitation. According to the RSA Anti-Fraud Command Center2 (AFCC) mobile will become the leading cyber battleground in 2014 and already that trend is in play. September 2013 saw the number of malicious and high-risk apps targeting the Android platform reaching the one million mark with a noted rise in Apple-related phishing sites and attacks. Over 40 billion apps downloaded from the App Store since inception makes it obvious as to why. Phishing scams remain a popular catch for the mobile user along with social media scams and fake video player updates. 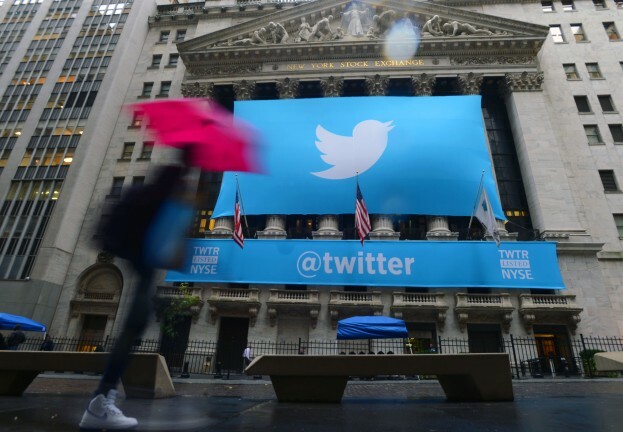 The last quarter has seen an unpleasant increase in fake Twitter accounts and social engineering lures using terms such as Obamacare, Summer Movies, Whatsapp and Ender’s Game. Welcome to the new identity crisis as social accounts are hacked and online lives overtaken. Almost 96% of premium service abusers can access and delete data on your SD card, 48% can access your contact list and 86% can send out predefined messages. Cyber-crime is not waning, however, the Trend Micro report does point out that the publicity surrounding it has finally made the internet sit up and pay attention. The world is not prepared for the influx of zero-day exploits and attacks that will come into play in 2014, and corporates are battling with a workforce that still doesn’t grasp the scale of the issue and legacy security systems. It is time to prepare the corporate frontier because things are about to get interesting. From Lagos, local media have reported that MTN Nigeria, via its business-to-business division MTN Business, has partnered with LG Electronics to offer consumers bundled 4G broadband internet service with LG smart TVs. The deal means that consumers who purchase a smart TV from LG will also have access to MTN HyNet internet service. 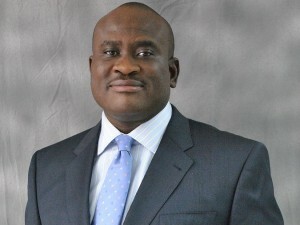 MTN Nigeria’s Chief Enterprise Solutions Officer, Babatunde Osho has been quoted in the media as saying that there is a growing demand for smart TV technology and the provision of high-speed internet services adds value. The ability to experience online movies and live streaming are helping to drive up demand for smart technology. Management at LG Electronics West Africa is said to have welcomed the partnership, adding that the deal comes with complimentary 8GB data for a period of three months. The Mobility 2014 project comprises two reports, namely The Mobile Consumer in SA 2014, comprising cellphone usage and mobile banking trends, and The Mobile Internet in SA 2014, exploring online trends. It is based on face-to-face interviews with a nationally representative sample of South African adult cellphone users living in cities and towns. Fieldwork was conducted by Dashboard Marketing Intelligence in late 2013. Decision makers in business may have to consider more than one policy or measure in their future BYOD (Bring Your Own Device) strategies. According to a report by Juniper Research, by the year 2018 there is expected to be more than 1 billion employee-owned mobile devices in the enterprise. This figure represents approximately 35% of the total installed base of consumer-owned tablets and smartphones. Technology executives have referred to an IDC statistic which claims that by the year 2020, third platform technologies (mobile, cloud, social and big data) will make up 80% of all IT spending compared with 20% in 2011. The adoption of mobile technology in Africa warrants consideration of what experts have called ‘three absolutes’ – technology must be manageable, secure and reliable. Juniper’s report Mobile Security: BYOD, mCommerce, Consumer & Enterprise 2013 – 2018, has found that whilst organisations can benefit from BYOD, employee satisfaction and productivity being two advantages, there is a very real threat from unprotected employee mobile devices. Businesses should view mobile devices as “just another endpoint” and formulate actions and steps to mitigate the challenges and the risks of managing a multi-platform environment, suggests the research company. A crop-dusting aircraft's graceful, looping route over Russian farmland is tracked by the pilot's GPS, resulting in a beautiful map you won't see anywhere else. This aerial concoction is one of many by custom map-maker MapBox, which has developed a way to overlay the world's largest trove of open-sourced GPS data – submitted over nine years to the free wiki Open Street Map – on top of aerial imagery to create beautiful, traveller-friendly maps. Mapbox's GPS routes are colour-coded by the course of travel, with each direction given its own hue, to help future users verify one-way streets, roads not displayed on traditional maps or, in this case, display one aircraft's vivid rainbow path across the sky. A while back, I argued that there was limited innovation in Kenya. After, attending the closing ceremony of the Safaricom Developer Challenge last week, I must however concede that indeed Kenyan youth are among the best in the world in terms of generating innovating software products for the mobile platform. The Safaricom Developers Challenge seeks to identify and incubate software talent among university students in Kenya. Basically, students are invited to submit ideas and mobile-based solutions that address unique Kenyan problems. Over one thousand ideas were submitted, and about 100 shortlisted for the next stage, which involved testing the capacity of the students to develop those ideas into viable, mobile-based software products. The groups of student who demonstrated this capacity - by way of programming mobile applications - where then selected for the incubation stage. For three months, thirty teams of software developers were incubated at the Strathmore iLab, where they fine-tuned their solutions and learned about the business side of taking products from the lab to the market. Very interesting products that targeted Agriculture, Finance, Health amongst other sectors made it to the final list. Students from Multimedia University of Kenya developed a mobile health application called the "Bud Doctor". This app provides an online list of doctors and links patients with the doctor or specialist appropriate for a given disease or ailment. Using a simple mobile phone, users type in the name of an ailment, and the system lists local specialists and their contacts, linking patients to specialists who would otherwise remain unknown to them. Students from JKUAT developed, Tichaa, an interactive game that teaches young children the Swahili language. The Tichaa interface is based on the traditional puzzle game that older folks would remember as requiring one to manually re-arrange a set of tiles in order to complete a picture within a frame. However, this mobile version concludes by spelling and sounding the name of the completed picture. Pictures to be completed are selected from categories of animals, food, games among others. It is impossible to describe each application that made it to the final list. But one common thread among all of them is their dual nature of simplicity and scalability. The idea that a simple software solution can be accessed simultaneously by millions of users over the mobile telecommunication network continues to unlock innovative ways of doing old things - a classic tale of MPESA "reloaded". 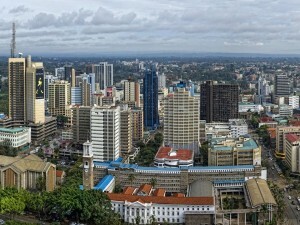 The mobile industry has spawned a new frontier for the Kenyan and indeed the African software developer to rise up and stake their claim on the international software arena. The Safaricom Developer Challenge is a great way of actualizing this potential. It should be emulated by other industry players on one condition; that the intellectual property rights and rewards for these ideas must be attributed to, and retained by, the Kenyan youth. Today Ubisoft announced that the next game from the award-winning Assassin’s Creed franchise, Assassin’s Creed Pirates will be available for high end smartphones and tablets on December 5 on the App Store, on Google Play and on the Amazon Appstore for £2.99. The game features brutal naval combat, Caribbean exploration and an epic quest for legendary treasure. In Assassin’s Creed Pirates, players will explore the Caribbean during the Golden Age of Piracy as Alonzo Batilla, a young and ambitious captain. Players will be tasked to manage their crew, upgrade their ship, recruit new crew members and engage in massive real-time naval battles to become the most feared pirate in the Caribbean and claim La Buse’s renowned treasure. 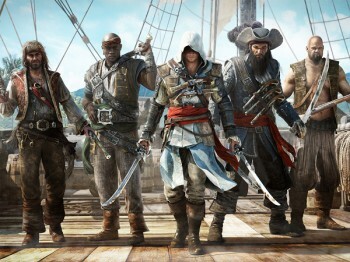 Along the way, players will cross paths with Assassins and Templars, as well as famous buccaneers including Blackbeard, Bellamy, and Hornigold. 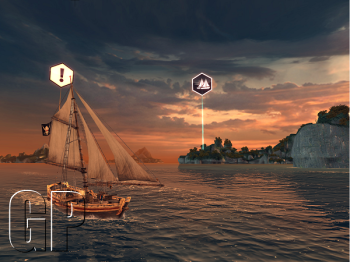 Ubisoft Paris has developed a brand new mobile engine to bring groundbreaking 3D visuals to Assassin’s Creed Pirates. This engine is responsible for the breathtaking moving waters, lush islands, and gorgeous graphics players will experience on their quest for legendary treasure. 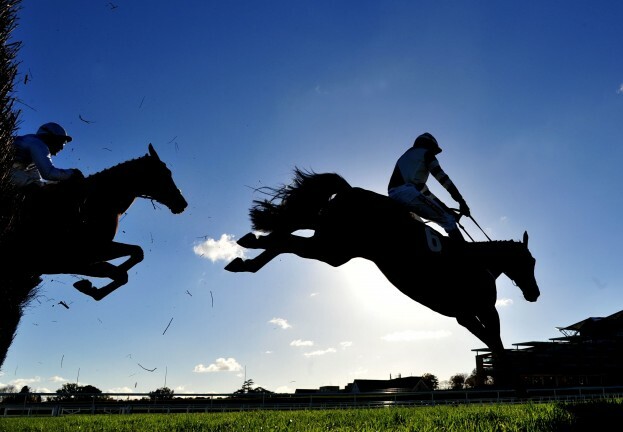 The attack on Racing Post’s servers accessed a database containing customer details. The site offers online gambling (legal in the UK), via a partnership with William Hill and Ladbrokes, and its iPhone app is the most popular free horse-racing app on iTunes, according to the company. The site has blocked log-ins as a preventative measure, and said in a statement that it is taking “stringent” measures to ensure the breach is not repeated. “We have removed the log-in facility from racingpost.com until further notice so all users can access all areas, even if you are not a member,” the site said in a warning on its front page Monday. The site has a clear, helpful guide for users who fear they may have been affected here – including answers on passwords, and advice for those who may have shared logins across several sites. The new technology makes it more difficult to intercept traffic over a secure HTTPS connection, adding a further layer of protection for users. Perfect Forward Secrecy is explained further in Twitter’s technical post here. Google, Dropbox, Facebook and Tumblr have all already implemented the technology, which may make it difficult even for state-backed agencies to intercept data, and LinkedIn is understood to be in the process of introducing it, according to The Guardian. Forbes’ Larry Magid points out that while the encryption may help “protect against snoops”, mentioning the NSA, ‘“Of course, encryption can — at best — only protect you against data that you keep private. Don’t expect any privacy when it comes to your public Tweets now or in the future. Techdirt says that the detailed post was “clearly not written by a PR person”, and praises the approach – but raises concerns that the encryption used may not actually be as bulletproof as Twitter claims. Calling family and loved-ones across regional and international boundaries can be expensive, especially in the holiday season. 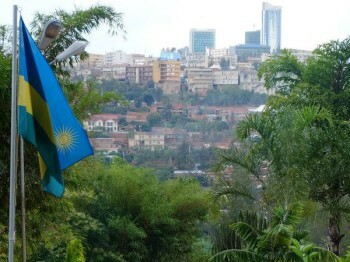 For this reason, Rwandan mobile phone users would like to see the practice of roaming rates abolished. Roaming fees were adjusted last year during a review of fees on roaming services by sector regulator Rwanda Utilities Regulatory Agency’s (Rura). Anyone calling an operator in Rwanda will have to pay 22 US cents, a service that once cost 9 US cents. “The increase in taxes meant rates for people calling from other countries went up – by that additional amount,” explained Yvonne Manzi Makolo, the chief marketing officer at MTN Rwanda. Makolo explained that Uganda, Burundi and Tanzanian telecom regulators made it extremely expensive for users to phone contacts, as they imposed the same taxes. “It used to cost Rwf60 to call Uganda and Burundi, now it is around Rwf120 to call Uganda and Rwf350 to Burundi because they increased their rates to 35 US cents. Before we were absorbing the 9 US cents, but is now impossible to absorb the 22 US cents and 35 US cents increments imposed in the countries,” she explained. October saw spammers exploiting the themes of upcoming holidays, the names of well-known telecommunication service providers and the conflict in Syria. There were also offers of magical services – love spells and incantations. Meanwhile, a rise of 6.6 percentage points in unsolicited and malicious emails took spam’s share of global email traffic to 72.5% for October. Trojan Fraud remained the most popular malicious programme spread via email. This Trojan imitates a phishing HTML page and is distributed via email. It mimics notifications from major commercial banks, e-stores and various other online services. Once users land on the site, they are prompted to enter their credentials – which are immediately forwarded to the fraudsters, jeopardizing the victims’ confidential information. Trojan Fareit, a malicious programme designed to steal logins and passwords from compromised computers, came second in October’s rating. Bagle regained third place. Like most mail worms it self-proliferates to addresses in the victim’s address book. It can also download other malicious programmes onto a computer without the user’s knowledge. In order to spread malicious programmes, fraudsters are increasingly using the names of well-known telecoms companies. In September, they used the name of the UK’s BT Group to distribute the Trojan downloader Dofoil. In October, they targeted Canada’s national telecom operator Telus Mobility. An attached ZIP archive contained Trojan Zbot, a malicious programme designed to steal users’ banking information. 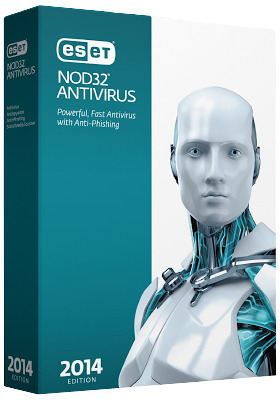 The fraudsters use rootkit technologies which allow them to successfully hide their executable files and processes from the system (but not from antivirus programmes). In October, experts also registered spam mailings offering some rather unusual services – love spells and incantations. But while the wizards of black and white magic were imaginative, the makers of Santa-shaped USB sticks and similar festive season goods seemed to have run out of ideas:spammers are mostly using the same designs as last year, having changed only the address in the ‘From’ field and added links to newly created redirection sites. The dire situation in Syria is being actively exploited by spammers to spread “Nigerian letter” scams. In October, we continued to register new examples of fraudulent emails. For example, there was a mass mailing purporting to come from a female member of the “peacekeeping mission” in Syria who was hoping to form a serious relationship with the recipient of the email. On the face of it, a seemingly innocent attempt to make friends, but once the scammers gained the victim’s confidence, the “pen pal” immediately hit a problem which only a money transfer from their new friend could solve. Asia (56.4%) remained the leading regional spam source in October despite a slight drop (-2.4 percentage points) in spammer activity. North America came second after distributing 19% of global spam. Meanwhile, Eastern Europe’s share went up 3.8 percentage points, averaging 16%, and placing the region third in the rating. From Nairobi, three media organisations – Nation Media Group, the Standard Media Group and Royal Media Services – have reportedly challenged the Communications Commission of Kenya (CCK) over the granting of exclusive rights to pay channels to oversee the digital migration process. The organisations are believed to have filed an urgent court petition in which it is claimed that they were deliberately left out of the migration process – this despite attracting over 85% of local viewership. The petitioners further claim that the Commission’s decision to allow certain channels to intercept and flight their programs represents an infringement of their intellectual property rights. It has been reported that the media houses have actively sought out a third digital signal distributor license. This latest development is expected to impact on the country’s December 13 digital migration deadline. Attacks that employ a variety of malicious programmes, phishing attacks, and spam remain the cyber threats most frequently encountered by companies. 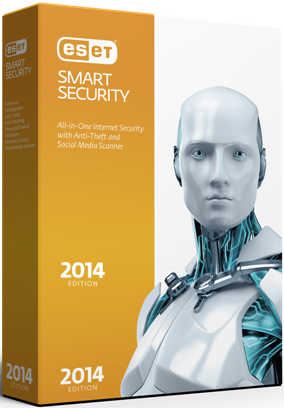 At the same time, the volume of malicious attacks and spam has increased substantially in 2013, compared to 2012. These are the findings published in the Global Corporate IT Security Risks 2013 survey, conducted by B2B International. Roughly 64% of the survey’s respondents in South Africa reported that their companies were targeted in attacks involving viruses, worms, spyware, and other types of malicious programmes (the global figure is 66% in 2013 and 58% in 2012). The volume of spam attacks is noted by 68% of companies locally (globally 61% noted that against 55% last year). Phishing attacks were launched against 41% of companies locally. In fact, phishing remains in the top three most prevalent threats in external attacks against corporations today. Companies in South America were the most frequent targets of malicious attacks: 72% of respondents from that region ranked viruses and spyware the number one external threats. Russian companies were also frequent targets, with 71% of Russian companies reporting attacks. North America was the third most-attacked region, with 70% of companies reporting attacks. Japanese companies suffered the least, with only 47% of survey participants reporting any malware attacks. Meanwhile, spam is most frequently encountered by North American and Russian companies (69% and 67%, respectively). The companies dealing with the least amount of spam are located in the Middle East (55%) and in Japan (42%). Companies from North America are subjected to phishing attacks more often than in other regions (51%), followed by the Asian Pacific (46%). The companies with the lowest phishing rate are located in Russia, Japan, and South American countries (an average of 26%). Malicious attacks are actually the number one reason behind serious leakages of confidential data — 19% of companies locally reported that they have suffered data leakages after these types of attacks. Globally based on the report, most often, these incidents take place among small and mid-sized companies (23%), while large companies are targeted less frequently (17%). Data leakages are less frequently the result of phishing attacks, as very few companies locally are encountering these types of incidents in 2013. However, globally the percentage of large companies that lost data due to phishing attacks is a bit higher (6%) than the number of SMEs in the same situation (5%). 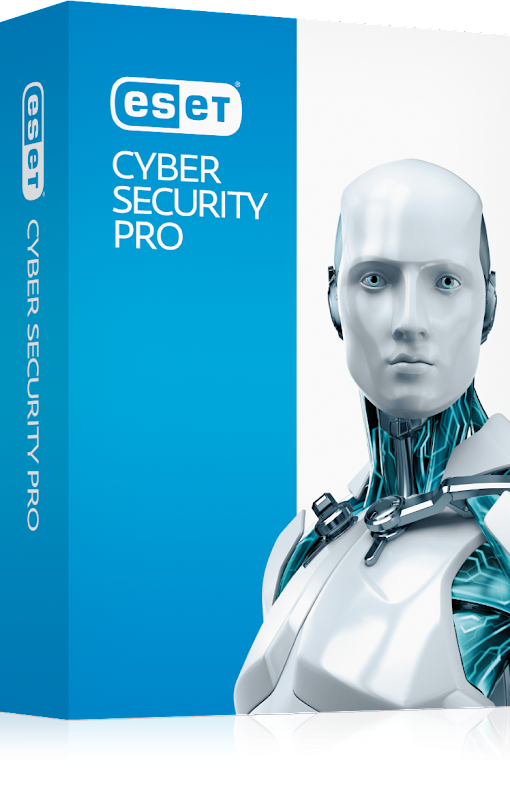 The number of cyber threats is growing constantly, for example ESET experts discover approximately 200,000 new malware samples every day. This is forcing companies to pay more attention to their security, especially after they experience a cyber-incident. However, according to the survey, locally only 86% of businesses have fully-implemented anti-malware (anti-virus and anti-spyware) protection in place. The varied range of attacks launched against companies means that companies need a professional security solution capable of effectively counteracting dangerous cyber threats. Rhys Collins, Head of African Operations for SSP, a leading provider of insurance technology to insurers across the continent, says modern technology overcomes these challenges, and this is increasingly drawing new players into the African insurance market. He believes that to deliver insurance products and services effectively on the ground, insurers and managing agents need a strong core insurance system and ICT infrastructure in place. 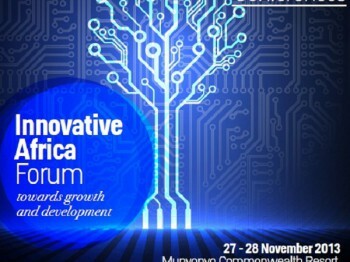 “There’s no denying that Africa has entered the age of mobile. Insurers and managing agents need to consider and embrace this and use the many advantages it offers to enhance their offering, or stand the risk of being left behind. To do this they need a modern, flexible insurance solution. Obviously this is easier for new start-ups, but for firms with existing legacy solutions, complex and risky transformation projects are not always popular in boardrooms. However, by adopting a gradual approach to legacy modernisation, such as SSP’s Enhance and Evolve approach, insurers can address their most urgent business priorities proactively. They can extend the life of their existing systems and only replace when the time is right, in line with their long-term strategic priorities,” concludes Collins. There is an all-too common misconception that in order to become infected with web-propagated malware, you must visit sketchy parts of the Internet’s underbelly or a website within that broad class of which is “not safe for work.” Thus, when you admit to your buddies that your computer is beset by malware, one of them invariably makes some sort of joke about how you’ve been spending too much time on this or that pornographic website. In reality though, the old days of becoming infected with malware by visiting adult websites are largely over. Those websites, unlike most, probably make money. Therefore, it behooves them to ensure that they are not infected with malware. In my experience, most malware infected websites are the ones that no one expects to be infected with malware. With any malware infection, there are really two primary philosophies, trawling and spear-phishing. On the one hand, you can cast as wide a net as possible in order to catch as many fish as possible; the strategy for botnet operators and the progenitors of banking trojans. On the other hand, you pick a fish, go to where it lives, set your hook with the kind of bait you know it likes to eat, and catch it. Likewise, you can find a vulnerability in a popular site and infect it with malware in order to draw in as many infections as possible. Or you can find a vulnerability in a site that you think your intended target will visit. This second method has a name. Its name is a watering hole attack, which derives from wilderness reality that ambush predators hide near water sources, where they know their prey will eventually have go to drink. These predators merely wait until their prey’s head is down to drink, and they attack. Similarly, an attacker will estimate which sites his target is likely to visit and look for vulnerabilities in them. The broad-style of attack manifested itself last week when the popular humor website cracked[dot]com was infected with malware. Researchers from Barracuda Labs expressed concerns that the number of infections arising from this attack could be quite high considering that the site ranks 289 in the U.S. and 654 globally, according to the Web information firm, Alexa. Similarly, the web-developer resource site PHP[dot]net was recently infected according to Spiderlabs research, as were a small handful of Russian banking sites (you may need to brush up on your Russian to read this). The more refined or targeted style of attack is perhaps best demonstrated by the rash of watering hole attacks targeting the Department of Labor websites earlier this year. In this case, the targets were likely individuals with access to sensitive government networks. More recently, researchers from the security firm FireEye reported a watering hole attack against an unnamed U.S.-based non-governmental organization (NGO) website hosting domestic and international policy guidance. In general, the point is this: who would think that the Department of Labor’s website would be serving malware? But that’s the point exactly: to infect an unlikely site where visitors have their guards down. There is no such thing as perfect security. You never know where an attacker may be hiding malware. They use automated tools to determine which websites contain exploitable vulnerabilities. Therefore, you’re dually relying on the website administrators install updates that will have to have been built by the various software vendors. If admins are anything like normal Internet user’s then they probably aren’t very good about implementing patches. For sure, vendors are much better than they used to be about building patches, but there are still an alarming number of companies in this space with no patch schedule whatsoever. Because of all of this, the easiest way to protect yourself from websites containing malware is to run an antivirus program, pay attention to browser warnings, and read security news, whether you are surfing on your PC, Mac, tablet or phone. A ‘high impact’ security bug affecting Gmail’s password recovery system was discovered by a researcher – and quickly patched. The vulnerability allowed attackers to reset user passwords remotely, and near-invisibly. 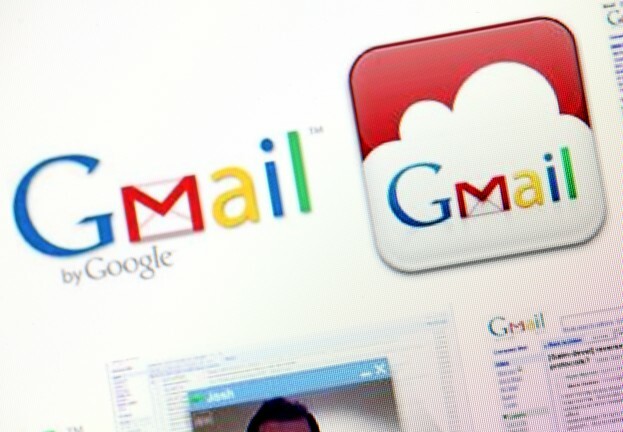 The vulnerability relied on users opening a phishing email (purporting to be from Google), but allowed attackers to initiate a password reset, security expert Graham Cluley reported. It was uncovered by researcher Oren Hafifi, and was patched by Google within 10 days according to Cluley’s report. “If I told you to think of the most sensitive features (security-wise) in a web application, you would probably say – Login,” Hafifi writes. Google’s Sebastian Roschke said, “We want to thank Oren Hafifi for the high-impact bug he reported in Account Recovery. 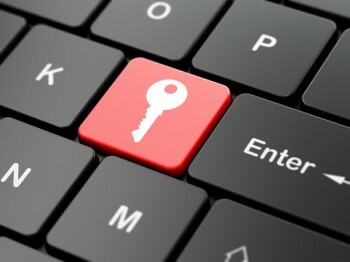 Further We Live Security reports on passwords, threats, plus advice on how to keep your log-ins safe can be found here. 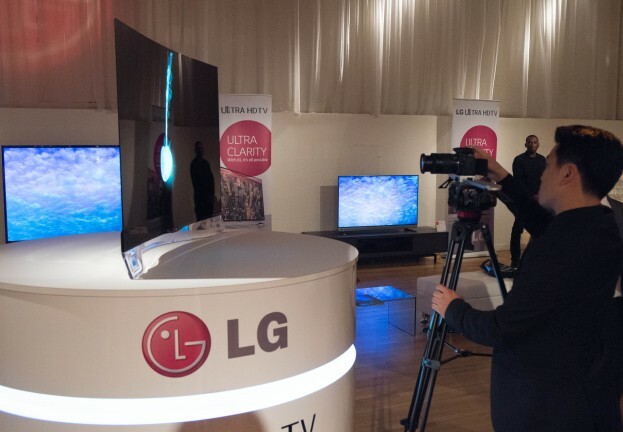 Some LG ‘Smart TVs’ watch their owners – logging their viewing habits without their permission – and transmitting the information back to the company, LG has admitted. The TVs do this even if the user has specifically selected an option not to share data. The behavior was first noted by a UK-based developer, Jason Huntley, as reported by The Register this week. However, Huntley said that even if you switched off the option for ‘collection of watching info’, the information was still transmitted to LG, including file names of users’ private videos. Cluley comments on his blog, “Glad to hear that it’s being removed with the firmware update, but how on earth do features that have only been partially implemented manage to ship in hundreds of thousands (maybe millions) of TVs that end up in consumers’ front rooms?” Cluley also noted that the company did not apologize. Earlier this year, a U.S. Senator has called on the manufacturers of Smart TVs to make their devices safer – after a demonstration of an attack which showed off how hackers could “spy” on users through a television’s built-in webcam, as reported by We Live Security here. His comments came in the wake of a demonstration at the Black Hat security conference in Las Vegas, where a researcher showed off how to remotely activate the microphones and cameras in a Samsung Smart TV.